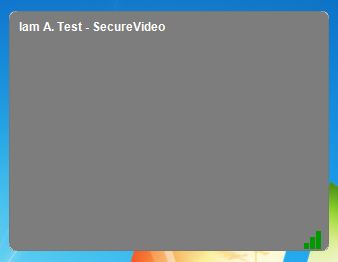 SecureVideo - I am having trouble with audio or video. If you're experiencing poor audio or video quality, or your audio/mic/camera just aren't working and you don't know where to start, this page will list your options and suggestions for more detailed troubleshooting pages. There are many factors that make up videoconferencing quality. As our troubleshooting techniques are often platform-specific, we have broken this section in two: Windows devices and Mac devices. Review the Windows devices section if you feel the source of the issue is with a Windows device. Review the Mac devices section if you feel the source of the issue is with a Mac device. If you are having an issue with audio AND video, tackle them one at a time. check that your speakers are turned on and all the way up. check that the correct speakers are selected. See our article on equipment settings for Windows. check that your speakers are working. See our article on testing Windows speakers. check that THEIR microphone is not muted. check that THEIR microphone is properly selected. See our article on equipment settings for Windows. check that THEIR microphone is working. See our article on testing Windows microphones. 2. If the audio is syncing well but you hear an echo, see our article There's an echo in my conference. 3. If the audio is scratchy, you may need a higher quality microphone. For recommendations, see our article, Should I get a headset or external microphone? 1. If you can't see your participant's video tile, it may have become minimized or covered by another application on your desktop. Click on the green VSee icon (circled below in red) on your taskbar to show all participants in the call. 2. If you can't see your participant's video feed, and it looks like a gray box (see below), then their camera may be on mute. Ask them to unmute their camera. 3. If you can't see your participant's video feed, and it looks like the VSee logo (see below), then they need to change their camera device settings to select the correct camera. See our article on equipment settings for Windows. If you have selected the correct device but it's not working, try our article on troubleshooting camera equipment. check that the correct speakers are selected. See our article on equipment settings for Macs. check that your speakers are working. See our article on testing Mac speakers. check that THEIR microphone is properly selected. See our article on equipment settings for Macs. check that THEIR microphone is working. See our article on testing Mac microphones. 1. If your desktop is clear, but you can't see your participant's video tile, it may have appeared behind yours. See our article here. 2. If your participant's video tile was minimized or covered by another application on your desktop, you can find it again by clicking on the green VSee icon (circled below in red) on your dock to show all participants in the call. If you have multiple participants and their tiles might be covering each others', try pulling their individual video tiles to the front. See our article here. 3. 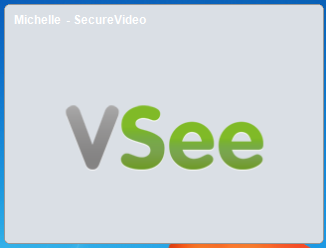 If you can't see your participant's video feed, and it looks like the VSee logo (see below), then they need to change their camera device settings to select the correct camera. See our article on equipment settings for Macs. If your Mac is not detecting its built in camera, it may be that VDCAssistant is still running. If none of the above pages helped you, or you'd rather just ask us, please do! Give us a call any time at (888) 540-2829. If the session has already passed, you can also e-mail us at [email protected].